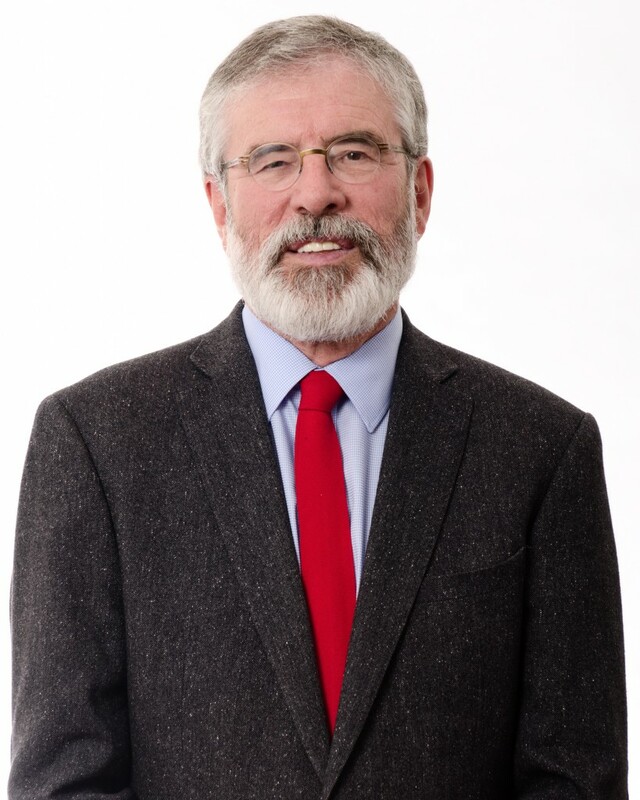 Sinn Fein Louth TD Gerry Adams today questioned the Minister for Justice, Charlie Flanagan in the Dáil, on the issue of Drug Related Intimidation against families in County Louth. The Louth TD specifically raised the case of one family whose home was fire-bombed over St. Patrick’s weekend. Teachta Adams expressed his disappointment at the Minister’s refusal to answer the questions he asked, specifically around the provision of additional resources for the Louth Division of An Garda Síochána. The Minister also failed to inform the Dáil when the evaluation of the Drug Related Intimidation Reporting Programme by An Garda Síochána will finally be published. 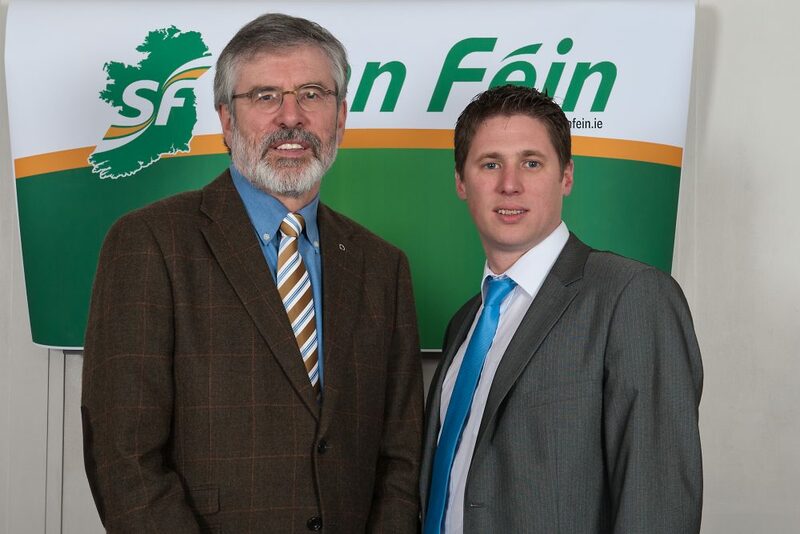 Gerry Adams said: “There is a growing problem of extortion with violence and threats by drug gangs in County Louth. These gangs are demanding that the families of those who they claim owe them money must now pay the alleged debt. I am also told by party colleagues that this is a serious problem in Dublin and elsewhere. Last week, accompanied by Cllr Ruairí Ó Murchú and Cllr Pearse McGeough, I visited one family in Louth who are quite simply living in terror. “Over the space of 6 months this family paid a drug gang a total of three thousand seven hundred euro for debts allegedly owed by their son. The drug gang has targeted this family in a sustained campaign of intimidation and threats and attempted extortion. The drug gang are now demanding another eight thousand euro. “However, this family is demonstrating remarkable courage in the face of threats, and is standing firm and rejecting the drug gang’s demand. When I visited the home, the family were clearly very anxious. Their fears are well founded. Over the St Patrick’s weekend their home was petrol bombed while they slept in their beds. Luckily the impact of the bomb breaking a window woke the family and they extinguished the fire before anyone was hurt. “This family are working closely with the Gardaí whom they have praised highly to me. Other families have also been targeted. Other homes have been attacked. Cars have been destroyed. Families have fled their homes. “Last Friday I spoke to the Chief Superintendent of the Louth division. I want to commend the Gardaí for their actions and efforts to date. During my last meeting in Dundalk Garda Station in January the officers informed me that the Louth Drugs and Crime Unit is now up and running with 3 extra staff in Dundalk and 5 in Drogheda. This is a good start but these numbers are still far too low to deal with the scale of the problem There are other cases which have come through my office and no doubt many more which I am unaware of. “It is my belief that most of this intimidation can be traced to two drug gangs in Drogheda where local families have been subject to similar threats of intimidation over drug debts allegedly owed by family members. I want to commend the neighbours and friends of the family I visited. This local community is 100 per cent behind them. Drug gangs will not intimidate the people of Louth. But it should not be left to the community or An Garda Síochána. “I am disappointed that the Minister did not deal with the questions I raised, including the allocation of additional resources for the Louth division of An Garda Síochána to support the work of its drugs unit. I also asked the Minister if he will consider introducing or supporting legislation to ensure that proof of identity is required for the purchase of mobile phones. Mobile phones are frequently used in the illegal drugs trade and many of the threats issued to the family being victimised in this case were by mobile phone. This entry was posted in News and tagged gardai, Gerry Adams by Fiona Johnston. Bookmark the permalink.